Two year olds are all about play – and that’s exactly how it should be! Provide your two year old little lady with classic, whimsical, and educational toys from Tin Toy Arcade – then sit back and watch the magic happen! 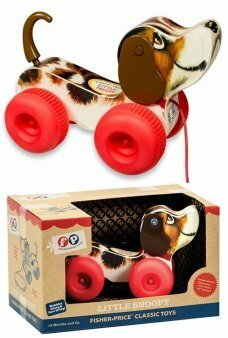 She’ll love playing with toys and games from our collection of the most intriguing and exciting gifts available today. Forget those big box retailers and their bland assortment of toys – we offer a host of vintage toys that will harken back to your childhood and beyond, and we carry a wide variety of kid’s games that will enthrall your two year old. Watch as they sharpen their minds and giggle with delight by playing with one of our deluxe wooden toys. Or, watch as they wait in breathless anticipation for a classically-styled Jack in the Box today to erupt in a springy motion. 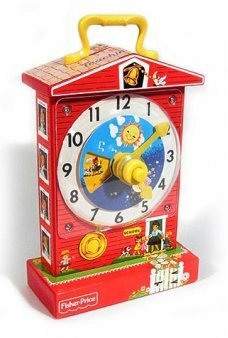 There are so many options available today – and with free shipping on orders over $79, and a 60-day money back guarantee, you’ll feel smart giving toys and games from Tin Toy Arcade. 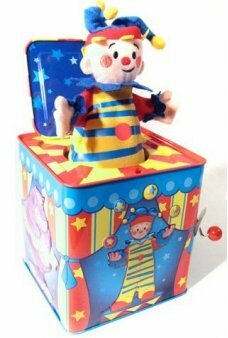 This colorful jack-in-the-box is certain to delight everyone who holds it in their hands. It feautures happy elephant, h.. Play fourteen fun games with our clever wooden travel Memory Set. Just slide a card into the gameboard and start looking.. Hours of timeless block play await your toddler! This sturdy, wooden block cart, features 30 solid wood blocks with a co..
Little ones love to stack and nest our happy ABC blocks. Brightly colored animals and familiar objects illustrate the le.. This cute wooden activity board features nine hinged doors. When opened, a colorful magnetic piece is revealed. Move the..
Do you remeber See 'N Say "The Cow Says ... Moooo?" Point the arrow at an animal and pull the string t.. 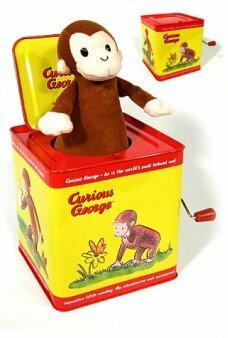 The original wooden shape sorter! 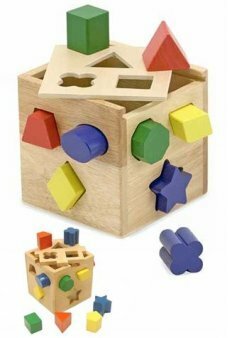 Our classic cube features 12 chunky, vibrantly colored shapes that make a satisfying '.. The original ABC/123 wood blocks play set! 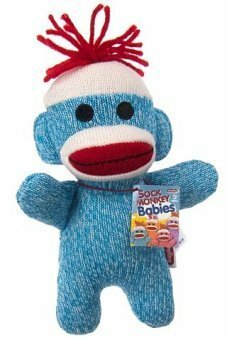 This is a wonderful bag of 50 traditionally styled alphabet blocks with hand-..
Our adorable, huggable Sock Monkey Blue Baby features bright eyes and a fuzzy hat. 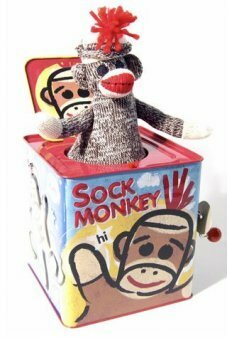 Made from red-heeled socks, the sock .. 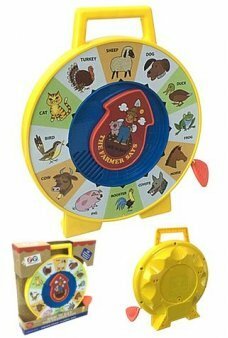 Here a chick, there a chick... Open each of the 9 golden-hinged wooden doors on this charming barnyard scene to find a d.. Pull the blue string to walk Gary, your pet snail and he will roll along behind you. 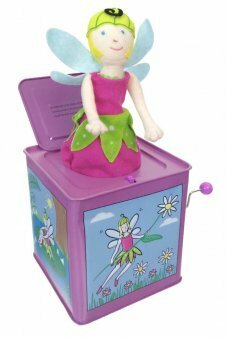 Gary, the snail is flat green..
Our happy Fairy, Little Lille pops out to greet your little one, every time she cranks the handle to the tune "Twinkle T.. 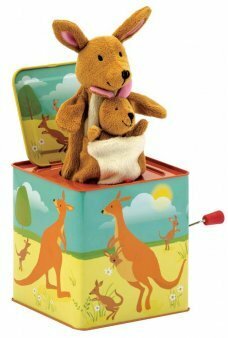 The cute Kangaroo Jack in the Box plays "Pop Goes the Weasel" and then jumps out with a baby in her pouch as a happy sur.. This adorable bunny loves to knock down carrots! Set up our cute and colorful carrot bowling pins and wind up the white ..
Little Snoopy is back! Every small child should have a happy friend like the classic Fisher Price Little Snoopy! It a pe..
Tuggy Tooter is back! 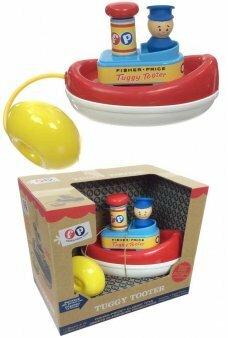 Every small child should have a happy tub friend like the classic Fisher Price Tuggy Tooter! It a .. 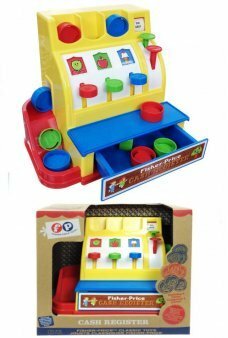 The Fisher Price Cash Register is back! It a perfect reproduction of the 1975 pretend Cash Register. Just place the 9 gr.. 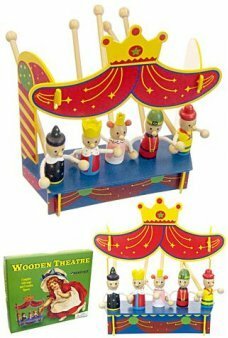 Put on a classic puppet show with our Royal Wooden Puppet Theater! Move the 5 characters around the elegant wooden stage.. The Original Raggedy Ann features red yarn hair and a happy face. Our Perfectly huggable and adorable Raggedy .. 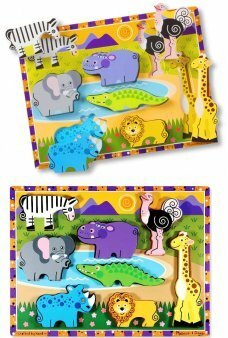 Your little one will love our colorful Safari Animals Puzzle! 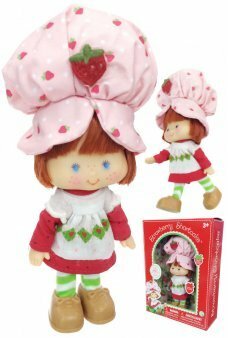 The 8 adorable African zoo animals are made with thick and..
Our cute Strawberry Shortcake features red hair, sweet eyes and her original strawberry scented pink hat. 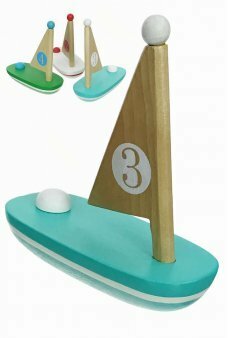 Soft, small an..
Our adorable Lil Sail Boat really floats! 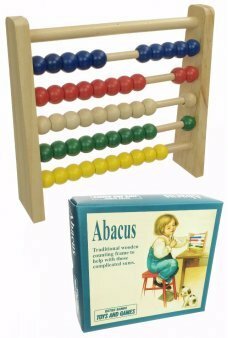 Just place the cute and pastel painted Wooden Boat in your pool, tub, or ocean..
Our Abacus is the tradtional wooden counting frame. Children love to move the beads to visually learn addition and.. 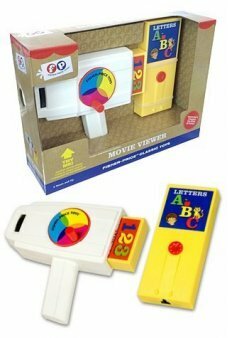 The adorable Fisher Price Movie Viewer has entertained generations of children! It a perfect reproduction of the 19..
See the weird world through the eye of an insect with our classic Bug Eye Kaleidoscope! It’s amazing how our little bugg..
Tangerina Ballerina smells like fresh citrus fruit. This sweet Whiffer Sniffer scent will last for years! Ta.. Your family will love reading the story of the Children's Drum. Every page of our classic Book features beautiful images..